After a successful debut last January, the US Sailing Education Zone and onshore festival will return to Regatta Park in Coconut Grove, Fla., during the final two days of the 2019 Hempel World Cup Series Miami, which will take place January 26 to February 3 on Biscayne Bay. On Saturday, February 2, and Sunday, February 3, food trucks along with entertaining and educational activities will complement a live broadcast of the deciding Medal Races for all 10 classes competing in the Olympic-class regatta. An onshore medal ceremony for each class will follow the races. The 2019 Hempel World Cup Series Miami is one of four stops on World Sailing’s World Cup Series tour, the premiere competitive circuit for sailors with aspirations of representing their country at the Tokyo Games in 2020. The Hempel World Cup Series Miami is known around the world for reliable wind, great mid-winter weather and the famous South Florida hospitality. For 30 years, international sailors from around the globe have made Miami and Biscayne Bay a de facto winter training base, ensuring that the competition at the Hempel World Cup Series Miami is always of the highest level. Many of the sailors competing in the event will be standing on the podium in Tokyo in 18 months’ time. Through interactive and hands-on activities, children participating in the US Sailing Education Zone will have the opportunity to learn about science, technology, engineering and mathematics through the sport of sailing. Activities will test problem solving skills and inspire a greater appreciation for the marine environment. Participants in the “Reach Simple Machine Scavenger Hunt” will connect science and sailing through mechanical advantage by exploring the association between six simple machines: wheel and axle, lever, pulley, screw, wedge and inclined plane. Participants will be challenged to find examples of all six simple machines in the Race Village. In the “Sustainability Navigation Challenge”, students will navigate their way throughout the Education Zone and Race Village to various checkpoints using an authentic sailing compass. At each checkpoint students will discover a sustainable tool or step that the event made to minimize their impact on the environment. When they return to the finish they can make their own pledge on how to be more sustainable in your everyday life! Other activities in the Education Zone will be presented by the University of Miami’s Rosenstiel School of Marine and Atmospheric Science, Florida International University and Tropic Sport Sunscreen. 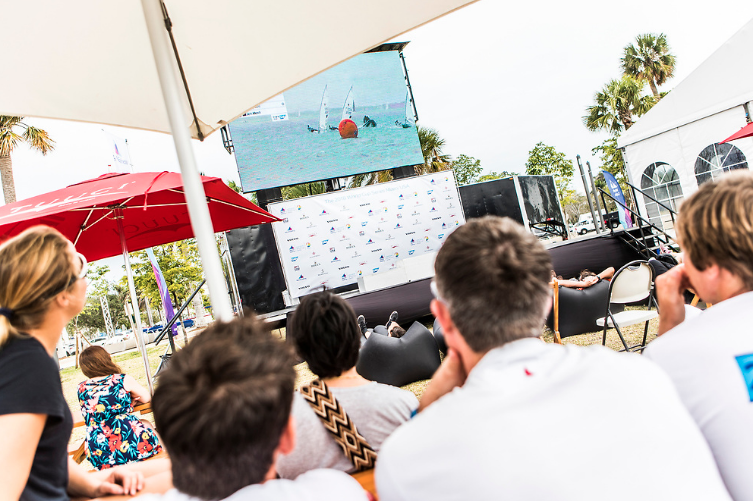 The onshore festival at the 2019 Hempel World Cup Series Miami is a great weekend activity for families and anyone who enjoys watching elite-level competition in a pristine waterfront park.